We started in Buxton — old spa town, regency architecture, mummers and dancers in fancy dress in a square (Mark murmured about the horror but I rather like them), lovely park suitably filled with follies and screaming children and people with money. It does have an old sacred well spilling out geothermal waters — St Anne’s. I was thinking about going to Poole’s Caverns, following in the tracks of Romantic poets and such, but you have to walk through a chintzy gift shop to get there — you don’t even get a cliff face and a gaping dark mouth to enter. It was full of people. We fled. We are getting old crabbit maybe, but that is hardly a good way to spend an afternoon. The woods just, however, are beautiful, despite being sandwiched between Go Ape and a caravan park. There was a lovely little area with three bridges and a confluence of streams, that also came with about 40 french kids and a number of other walkers so we fled that too. This tower might have, thus, been the highlight. Or this moment when we thought we were close to the promised land of the pub. Like so many of our walks, we had such high hopes but the Cat and Fiddle had been closed for years and we had to make our sad, cold, hungry way back to Buxton. 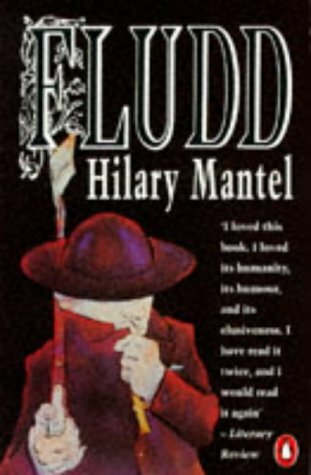 I read, and loved, Hillary Mantel’s Fludd over the Christmas holidays, after finding it on a shelf in the Inverness cottage where we were staying. I copied an extensive, brilliant description of a Peak district village, finding it amazing that they should turn from the moors towards the city while I am always looking from Manchester to the moors. But there is so much more about the moods and manners of a village here. I loved everything about it. But what follows is a VERY long and wonderful description of Hadfield as was, under another pseudonym of Fetherhoughton. At this early point, the topography of the village of Fetherhoughton may repay consideration. So may the manners, customs, and dress of its inhabitants. The village lay in moorland, which ringed it on three sides. The surrounding hills, from the village streets, looked like the hunched and bristling back of a sleeping dog. Let sleeping dogs lie, was the attitude of the people; for they hated nature. They turned their faces in the fourth direction, to the road and the railway that led them to the black heart of the industrial north: to Manchester, to Wigan, to Liverpool. They were not townspeople; they had none of their curiosity. They were not country people; they could tell a cow from a sheep, but it was not their business. Cotton was their business, and had been for nearly a century. There were three mills, but there were no clogs and shawls; there was nothing picturesque. In summer the moorland looked black. Tiny distant figures swarmed over the hummocks and hills; they were Water Board men, Forestry Commission. In the folds of the hills there were pewtercoloured reservoirs, hidden from sight. The first event of autumn was the snowfall that blocked the pass that led through the moors to Yorkshire; this was generally accounted a good thing. All winter the snow lay on the hills. By April it had flaked off into scaly patches. Only in the warmest May would it seem to vanish entirely. The people of Fetherhoughton kept their eyes averted from the moors with a singular effort of will. They did not talk about them. Someone –it was the mark of the outsider–might find a wild dignity and grandeur in the landscape. The Fetherhoughtonians did not look at the landscape at all. They were not Emily Bronte, nor were they paid to be, and the very suggestion that the Bronte-like matter was to hand was enough to make them close their minds and occupy their eyes with their shoelaces. The moors were the vast cemetery of their imaginations. Later, there were notorious murders in the vicinity, and real bodies were buried there. The main street of Fetherhoughton was known to the inhabitants as Upstreet: “I am going Upstreet,” they would say, “to the Co-op drapers.” It was not unprosperous. Behind window displays of tinned salmon, grocers stood ready at their bacon slicers. Besides the Co-op draper, the Co-op general store, the Co-op butcher, the Co-op shoe shop, and the Co-op baker, there was Madame Hilda, Modes; and there was a hairdresser, who took the young women into private cubicles, segregated them with plastic curtains, and gave them Permanent Waves. There was no bookshop, nor anything of that sort. But there was a public library, and a war memorial. The speech of the Fetherhoughtonians is not easy to reproduce. The endeavour is false and futile. One misses the solemnity, the archaic formality of the Fetherhoughtonian dialect. It was a mode of speech, Father Angwin believed, that had come adrift from the language around it. Some current had caught them unawares, and washed the Fetherhoughtonians far from the navigable reaches of plain English; and there they drifted and bobbed on waters of their own, up the creek without a paddle. But this is a digression, and in those houses there was no scope to digress. In the House there would be a coal fire, no heating in any other room, though there might be a single-bar electric fire kept, to be used in some ill-defined emergency. In the kitchen, a deep sink and a cold-water tap, and a very steep staircase, rising to the first floor. Two bedrooms, a garret: outside, a cobbled yard shared between some ten houses. A row of coalsheds, and a row of lavatories: to each house its own coalshed, but lavatories one between two. These were the usual domestic arrangements in Fetherhoughton and the surrounding districts. Consider the women of Fetherhoughton, as a stranger might see them; a stranger might have the opportunity, because while the men were shut away in the mills the women liked to stand on their doorsteps. This standing was what they did. Recreational pursuits were for men: football, billiards, keeping hens. Treats were doled out to men, as a reward for good behaviour: cigarettes, beer at the Arundel Arms. Religion, and the public library, were for children. Women only talked. They analysed motive, discussed the serious business, carried life forward. Between the schoolroom and their present state came the weaving sheds; deafened by the noise of the machines, they spoke too loudly now, their voices scattering through the gritty streets like the cries of displaced gulls. Treeless streets, where the wind blows. Consider their outdoor (not doorstep) dress. They wore plastic raincoats of a thick, viscous green, impermeable, like alien skins. Should it chance not to rain, the women rolled these raincoats up and left them about the house, where they appeared like reptiles from the Amazon, momentarily coiled in slumber. For shoes, the women wore bedroom slippers in the form of bootees, with a big zip up the middle. When they went outdoors they put on a stouter version of the same shoe in a tough dark brown suede. Their legs rose like tubes, only an inch or so exposed beneath the hems of their big winter coats. The younger women had different bedroom slippers, which relatives gave each other every Christmas. They were dish-shaped, each with a thick ruff of pink or blue nylon fur. At first the soles of these slippers were as hard and shiny as glass; it took a week of wear before they bent and gave under the foot, and during that week their wearer would often look down on them with pride, with a guilty sense of luxury, as the nylon fur tickled her ankles. But gradually the fur lost its bounce and spring, and crumbs fell into it; by February its fibres were matted together with chip fat. From the doorsteps the women stared at passers-by, and laughed. They knew a joke, when it was pointed out to them, but for the most part their entertainment lay in the discernment of physical peculiarities in those around them. They lived in hope of seeing a passer-by with a hunchback, knock knees, or a hare lip. They did not think that it was cruel to mock the afflicted, they thought it was perfectly natural; they were sentimental but pitiless, very scathing, and unforgiving about any aberration, deviation, eccentricity, or piece of originality. There was a spirit abroad in the village that discriminated so thoroughly against pretension that it also discriminated against ambition, even against literacy. Off Upstreet was Church Street, another steep hill; it was unpopulated, lined with ancient hedgerows, smoke and dust forming a perpetual ash-like deposit on the leaves. Church Street petered out at its summit into a wide track, muddy and stony, which in Fetherhoughton was known as the carriage-drive. Perhaps sometime in the last century a carriage had driven up it, conveying some pious person; the drive went nowhere except to the village school, to the convent, and to the Church of St. Thomas Aquinas. From the carriage-drive, footpaths led to the hamlet of Netherhoughton, and the moors. Atop one of the smaller village streets sat a Methodist chapel, square and red, and about it was its cemetery, where chapel-going people came to early graves. There were a few Protestants sprinkled through the terraced rows; each yard might have some. The Protestants’ houses did not have, pinned to the door of the cupboard in the sitting room, a coloured picture of the Pontiff with a calendar beneath; but otherwise, their houses were not readily distinguishable. And yet the Protestants were quite different, in the eyes of their neighbours. They were guilty of culpable ignorance. They refused to take on board the precepts of the True Faith. They knew that St. Thomas Aquinas was there, but they refused to go in it. They refused to turn over their children to Mother Perpetua for a good Catholic education, and preferred to send them on a bus to a school in another village. The Protestants were damned, of course, by reason of this culpable ignorance. They would roast in Hell. A span of seventy years, to ride bicycles in the steep streets, to get married, to eat bread and dripping; then bronchitis, pneumonia, a broken hip; then the minister calls, and the florist does a wreath; then devils will tear their flesh with pincers. I found this quote too from Hilary Mantel in an interview with Jessica Jernigan. HM: As I say in my author’s note, Fetherhoughton is not to be found on a map, but there is a close geographical match in a village called Hadfield, in the Peak District of Derbyshire, where I was born in 1952. Hadfield has a twin village called Padfield, smaller still and nearer the moors. When I was 4 years old, the bishop of the diocese ordered the statues removed from the church, thus becoming a local hate figure. Earlier than this (my mother tells me) there had been a very popular young priest who disappeared overnight. So you might say I’ve amalgamated two parish legends. I remember that my mother was planning to offer a home to St. Gerard Majella, who stood six foot and was black all over, and is credited with offering special aid to women in childbirth. I heard adults talking, in the air above my head. One said “What are they going to do with the statues?” The other said “Bury them.” A horrible shudder went through my infant frame. I know what I heard, but don’t think they did bury them, and St. Gerard never did come to live with us. It’s a mystery really. We had gone to Hadfield for a walk, we were thinking about a longer walk up across the moors to Glossop but left late then still missed the train so ended up walking around the reservoirs, with a touch of the moors at least. The reservoirs weren’t quite beautiful for the most part, but rather full of fascination. We passed a bronze age earthwork, bisected by a stone wall. Found ruins and my favourite view of an aspirational sheep. walk down the street and have a pint in the New Lamp, stare briefly at the street where her aunt and uncle lived but the rain discouraged any exploration. At midnight Fludd went out alone. It was cold, clear, still; a dried-up half-moon was skewered against the sky. The upper air was full of snow, the year’s first. He could hear his own footsteps. He let his torch-beam loose among the trees, then brought it back to his side, as if it were a serpent he were training (129). Weekend walk — in the sun but god, have these past few days been cold. We started in New Mills. Cotton town, built to take advantage of the confluence of the two rivers here, the Goyt and the Sett, to run water wheels though they were later powered by steam engines. I’ve been reading so much about housing, about the rise of these early factories that had to be built where there was (water) power even though there were often no people, so the people had to be brought here, housed. They wanted families, because children are dead useful in mills. And then the mills shut down. Now they are just picturesque additions to the quiet countryside. No noise, waste, streams of workers. This is Torr Vale Mill, built around 1788 by Daniel Stafford, originally water powered and it continued working until 2000 — in use for over 200 years it was the longed continuously working manufacturing site in England. This is taken standing in the ruins of Rock Mill, built around 1790 by John Crowther as a water powered cotton spinning mill. It changed hands and production many times, before becoming a print works in 1829. In 1872 it switched to paper, and was abandoned around 1884. I failed to photograph its remains. This bridge above — amazing. This is taken from Torr Mill, built 1790 by the Schofield family, and remained in their ownership though with different tenants. Cotton production ceased in 1890, but was still in use by a cloth-cutting firm when on 2nd December, 1912 it caught on fire and the 5-story mill was destroyed. You can see the remains of it below through the arch — the chimney was its own. There is now a very fine hydraulic engine there, the UK’s first community owned and funded hydro electric scheme. Which is very cool indeed. This place is awash with viaducts. They are all stunning. Glacial winds, glacial! We did not climb the hills. Instead we opted for the shorter walk, following Overhill Road. So really, we did still climb some hills. Through the ice. A mirrored pool of water, a heron. So beautiful. Still over the hill. So beautiful. So cold. So so cold. Country walks without a car in the highlands of Scotland are harder to manage than anywhere we’ve been I think. This one ended beautifully, but was mostly along quite a busy road. Roskeen Church, heebiejeebies, note least because rabbits had burrowed under and into many of the graves. But the hands, my god. The Thief’s Stone, ancient, unable to see any carvings at all peering over the fence and the ‘Pictish Trail’ brochure gives no easy directions. And down to Dalmore distillery. Closed. And the incredible beauty of the firth, snow-covered mountains, pools of mirrored water and ice full of birds. The remnants of an old WWI naval base. We took the train to Grindleford with a walking plan in place, but as the train wheels span us forward across the moors our hopes were quietly dashed by the mist setting low and low across the peaks. We sat in Grindleford Station Cafe and had the best bacon and egg sandwich I may possibly have ever had, pondered plans. Set off in the wrong direction for Padmore Gorge. Turned around. We walked through midday’s leafy dusk, boulders covered with moss and great thick trunks of trees rising from massive gnarling roots, the rush of water, twisting branches of oak dark against the emerald green. Some of the leaves glowed golden, already beginning to turn with the coming fall but the day was warm enough to climb the gorge in T-shirts. The map showed a stone circle, an old settlement, which we decided to leave the gorge to try and find. We failed in this, but found instead a haunting landscape quarried from the earth long enough ago that its edges have been blunted, harsh planes softened by soil and growing things. Spectacular mushrooms that hardly seemed real. We climbed out to find ourselves on a strange branching isthmus of earth, quarries falling away to each side. A multitude of paths not marked on our map, bracken and white birches. We climbed down and then up again. A graveyard of millstones. This uncanny landscape the creation of backbreaking labour, skill expended and so much of it in vain. Moss grows on these rolling stones left to sit here across centuries, no longer needed to grind our wheat. The story is that this is Napoleon’s fault, that damn war and shifting technologies which I partly make up and poorly remember as a good story, initial provenance possibly M. John Harrison via Mark, unverified by wikipedia. Then we crossed the road, and climbed up up onto the moors, the mist retreated to a more picturesque degree and revealed the glories of the Peak District, one of my favourite places on earth. A woman was flying a drone, it’s ominous buzzing and angry red lights filled me with terrors imagined from places where these military toys carry surveillance and death. We left her quickly behind, the wild beauty of this place swallowed up the ominous, fragile metal thing. How soon it would rust away here, as though it had never been. And then, briefly, the sun came out. We continued down, down into Hathersage. Sent tired feet in search of Little John’s grave, thought of Robin Hood. Thought more of dinner. Walked down beside the river and were sent wrong by directions to the pub. Encountered mist rising. Then we retraced steps, climbed again, tired, the sun setting across the valley. Happiness. More happiness in the Millstones Pub and the shape of pints and Yorkshire puddings of the very best kind, heaped with riches.